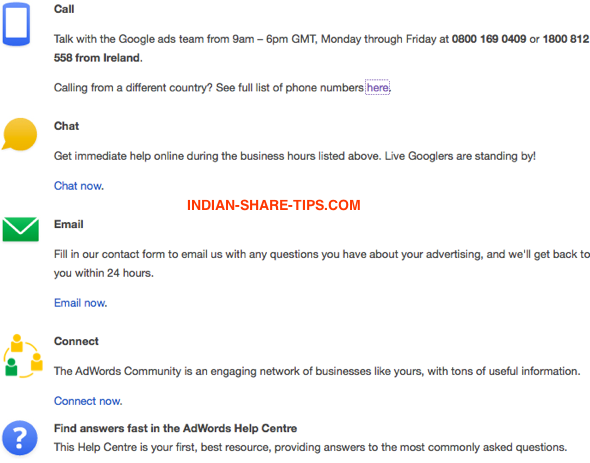 How to Contact Google Adwords Team in India? Just note that the Calls from landlines are free, but you may be charged from mobile phones, depending on your operator. Google Adwords team for verification will ask you for your 10-digit customer ID to help them find your account, so please make sure that you have this to hand when you call. Just call 1800-258-2554 between 9 to 6 PM from Monday to Friday. It means that they have 5 days working week. After you sign in to your account, your customer ID will be at the top of any AdWords page, next to your email address.